During past few months I was away from Tally. Infact I was away from ApniTally also. I have felt a clear relationship that when ever I am with Tally I am with ApniTally also. If I am doing some work on Tally then I am also doing something on ApniTally also. During this period India went through a very critical phase of self introspect and deep thinking and this also got effect on my writings. Where we are going? Where India's corruption is taking us? I write about Tally and Tally is a software which keeps track of our money. It also keeps track of what our govt. collects from us as we do business, the Taxes. In my one of the recent posts I have mentioned how much taxes we are paying. And this clutter of taxes is so much that Govt is imposing taxes and then taxes on taxes in form of surcharges and still it is having deficit budget. How much taxes should be raised so that we do not have deficit budget? Is there any solution. As the complications of taxes increase so is the complicity of Tally. More and more people would need Tally for their tax work. And Tally's business would flourish more then ever. I have no objection to Tally's flourishing business as I am also one of the beneficiary of this flourishing business. Tally is just a solution. Solutions with a simplicity. More complex things become more simply the solutions would be in the hands of people in form of Tally. But question remains the same, where this would end? Soon govt is planning GST and Tally is going to play a big role in this. I went through the interview of Bharat Goenka which says that Tally has a target of becoming $100 million company by this year end. and By 2015 $ 1 Billion company. 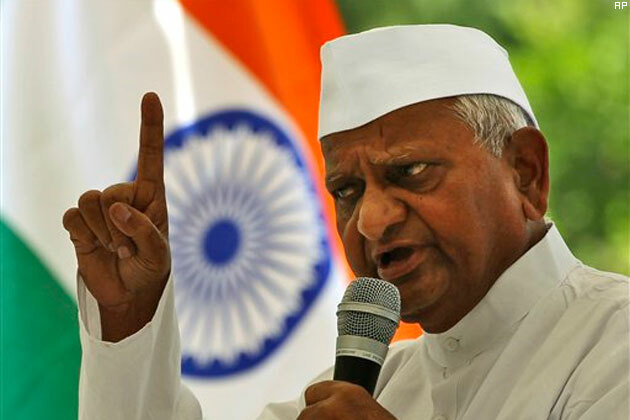 Tally is on its way to achieve its target but how Anna's effect would leave it's impact? Let me explain the Anna's effect. As I have earlier said where this would end. We are heading towards more and more complex system of Taxation. But I would like to draw readers attention that the corruption of the system is the root cause of all maladies. If we see way back in 1973 in Hong Kong corruption was at its height and it was way of life. Even nurses, police etc were involved in bribery. People's anger spurted and they have their Independent Commission Against Corruption (ICAC), just like what we are trying to achieve by Jan Lokpal draft. It was not achieved very easily. When youth of Hong Kong came out against this system on the streets only then this commission was set up. Now they have one of the most honest administration in the world. Income tax is much simpler. It's lower limit is 2% and highest % is 20% . Reason is simple they don't have corruption. There is accountability, that's why they have honesty. If this is achieved in India through Anna's movement and total transparency is achieve then we don't have to put deficit budget. All the money which is being consumed in corruption would be used for betterment of Indian's and Govt would perhaps need no money from taxation. That would be Anna's effect. In the light of Anna's effect Tally would be changed to something more simpler. We may see some cut in options like VAT TDS etc. from Tally. This should happen in India? Please let me know how this can be achieved.